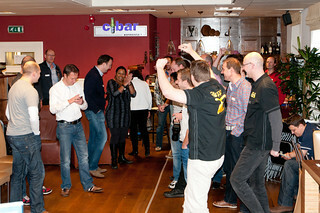 SAP Inside Track Netherlands - #sitNL - turns 5. 2013 is a year of celebrating community milestones. Our own SCN clubhouse for example, celebrates its 10thanniversary. Well from my part: Happy Birthday dear SCN. Thanks for bringing us together. Clean the carpet, open the doors, as we celebrate another anniversary. Registration is open, please go to our Wiki page to register for the event. Hold on, not sure why you should attend? No problem to use my Saturday for this. I would do it again! Still not convinced? Let me try another direction. Again our favorite chef Haseenah will cook us dinner. 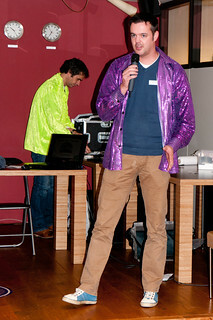 A not-to-miss-sitNL-evening-event. 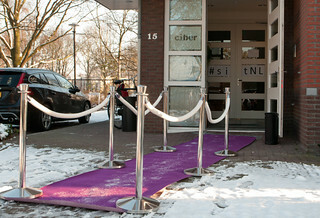 Please please please pretty please book her for the next decade of sitNL! What about our community Quiz? Let’s have a look at last year’s predictions. 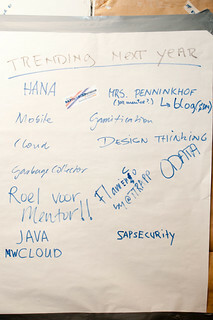 OData and Design Thinking – Think we were quite right last year. What about the 2013 agenda? We can’t do it on our own. So please share your session proposals on our Wiki page. Together we can make it a high quality event again! We hope to see you all in Amsterdam at sapteched_amsterdam or at sitnl . Any ideas, tips or suggestions are highly appreciated.